Los Angeles City Hall is no longer the tallest building that L.A. has to offer, but for awhile there it was the only game in town. Because of a city charter (approved in the name of harmonious architecture) that stayed in effect until the late 1950’s, our City Hall was tallest building in Los Angeles from 1928 until 1964. 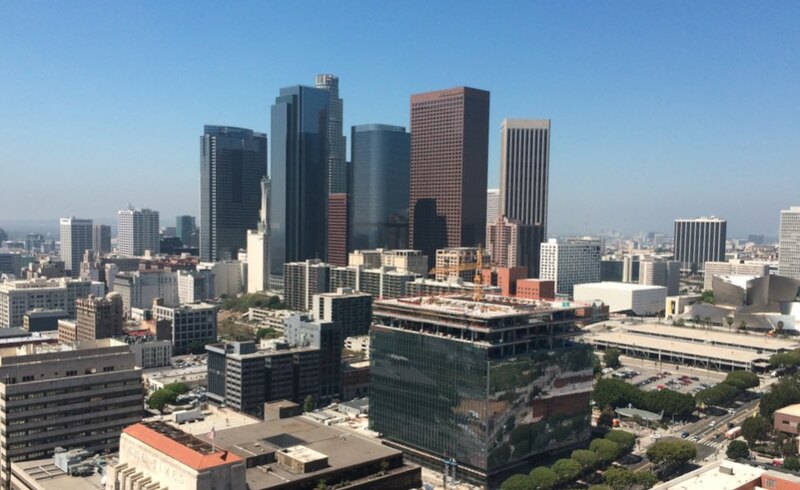 Though it’s now been supplanted many times over for the title of tallest in L.A., City Hall remains (at 454 feet high) the tallest base-isolated structure in the world. From a visitor’s perspective the standout feature is an observation deck on the 27th floor that offers a perfect perspective to enjoy the rest of our beautiful skyline and views all over the county. And it’s FREE to the public! Yesterday my nephew and I took at trip to the hall to have a look for ourselves. Photos and some details below. 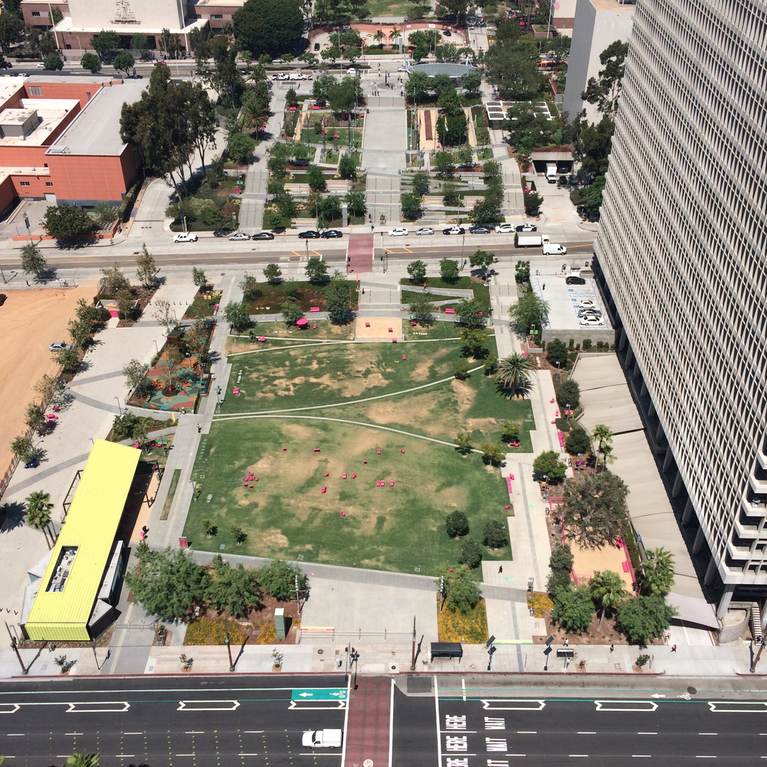 The toughest (and costliest) thing about visiting the Observation Deck will be parking around City Hall. For those planning a super quick trip there are some $4-per-hour meters scattered in the blocks surrounding the building, but if you don’t get there super early in the morning (and you’re a bit lucky) it’ll be a miracle if you snag a spot. Our plan involved making more of a day from it so we ended up parking in an outdoor lot closer to Grand Central Market and walking over. Some lots that I saw have $9 per day maximums, others can be much higher (it just depends where you park). The public entrance is on the Main Street side. We were there around noon on a Monday, and there was no line or wait time to get in (I imagine it’s much busier depending on the time of day). You need a valid I.D. to check-in. 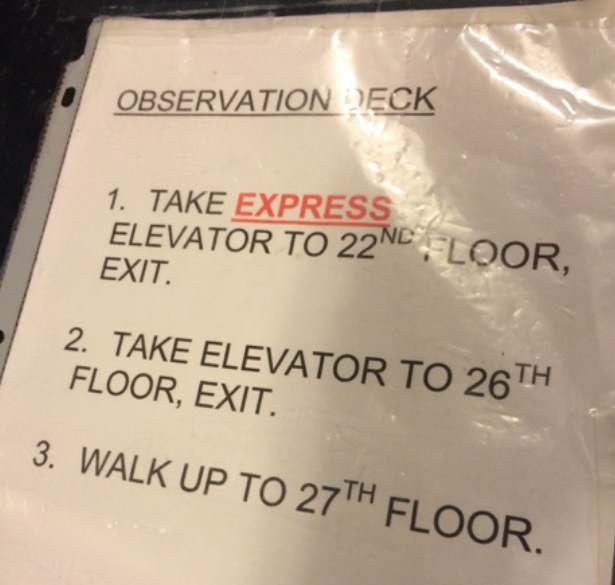 Take express elevator to 22nd floor. Take another elevator up to 26th floor. Take stairway up to 27th floor. In addition to the 360 degree views of Los Angeles, there’s a lectern inside the observation deck perfect for a cheeky photo op (see pic below). 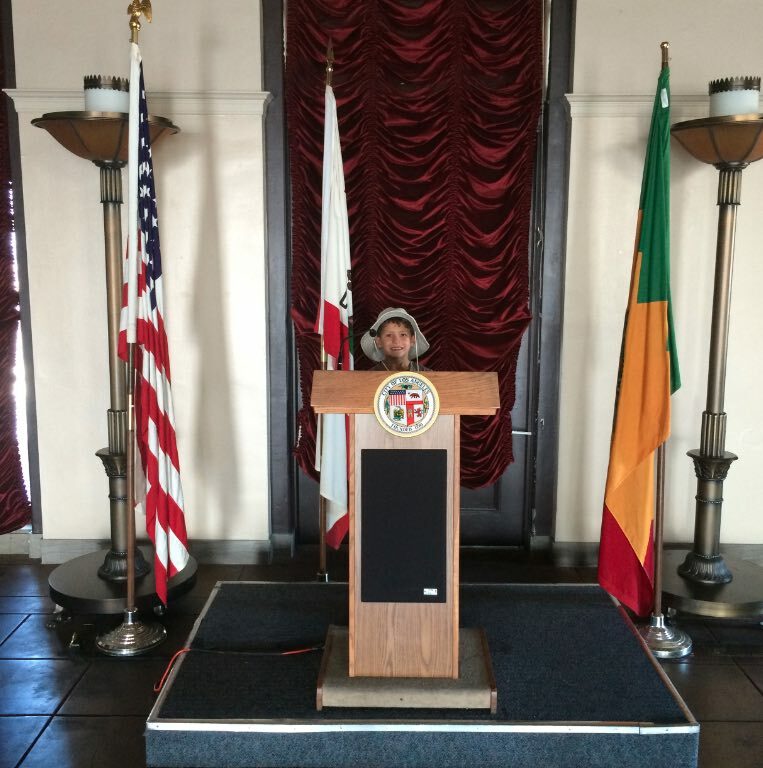 Open Monday – Friday, from 8 a.m. to 5 p.m.
Los Angeles City Hall is located at 200 N Spring St, Los Angeles, CA 90012. 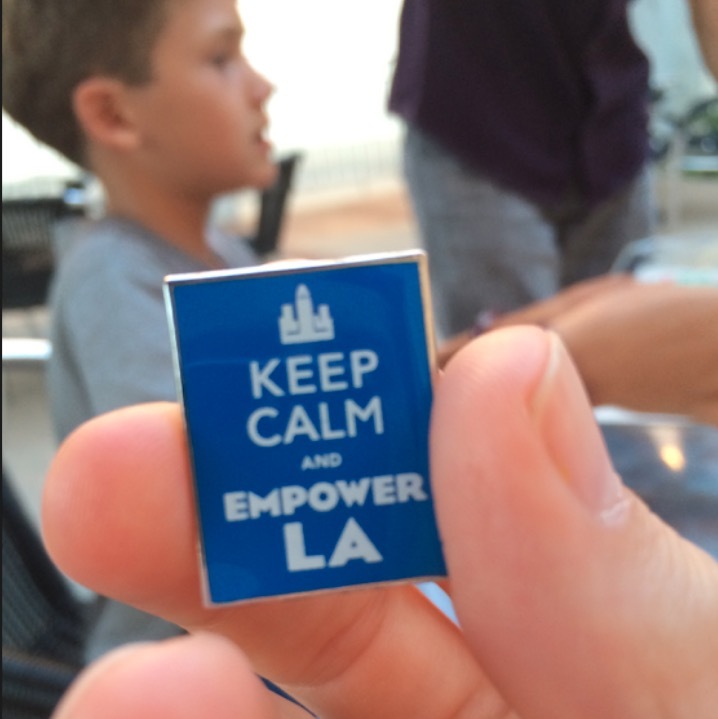 For more information visit lacity.org.